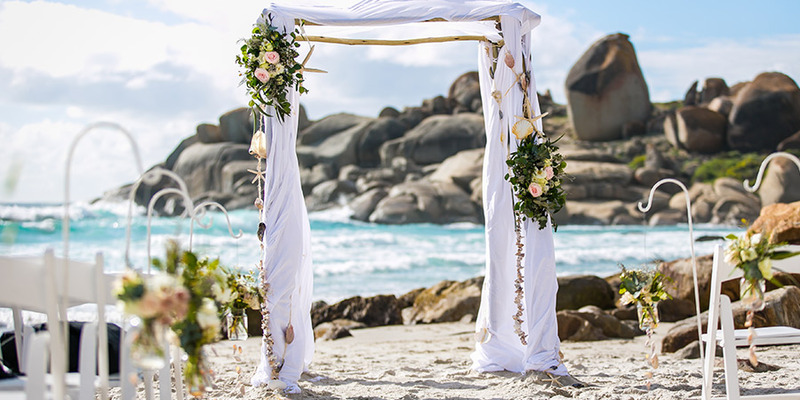 Our gorgeous hotel boasts a wide and stunning variety of wedding venues perfect for celebrations of all sizes, making it one of the most beautiful and accommodating wedding venues in Cape Town. 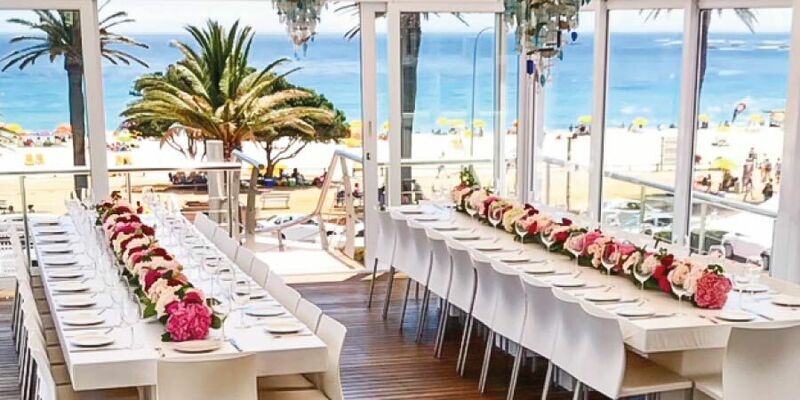 From intimate Camps Bay beach weddings to lavish ceremonies and opulent dinners, The Bay Hotel has everything and more to ensure that your special day is one that neither you nor your guests will ever forget. 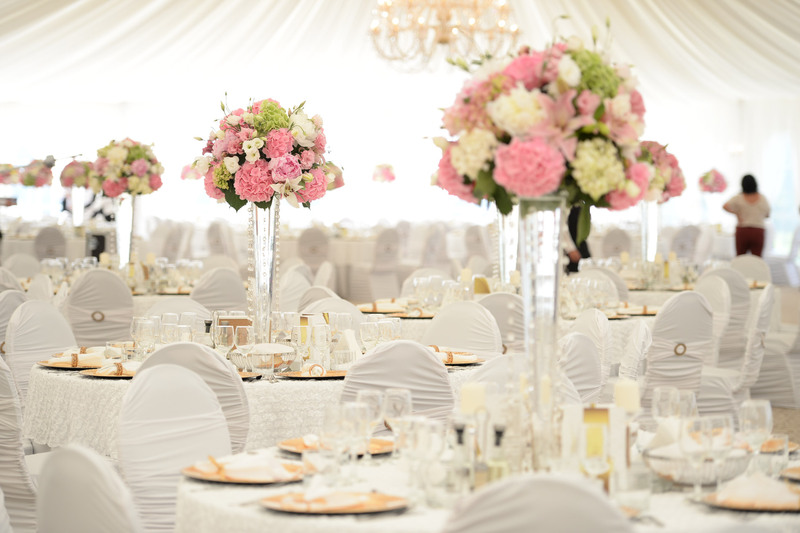 Our range of services for weddings includes taking care of the catering, hosting and planning, allowing the couple to focus solely on themselves on their special day. Couples who get married at The Bay Hotel will also enjoy the benefit of being upgraded to the best available room type should they spend their first night as newlyweds with us. If you are looking for a lavish, classy and whimsical venue for your big day, then you needn’t look further than The Rotunda. Built in 1904, the iconic Rotunda ties The Bay Hotel to its Victorian roots and is famously known for having the largest single dome construction in Cape Town. 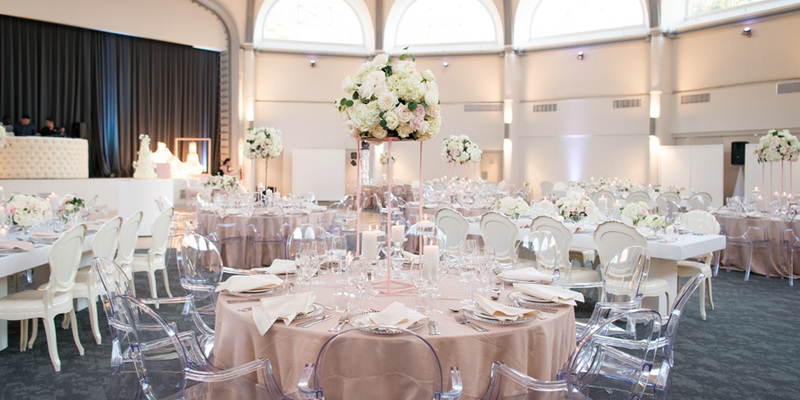 Steeped in history, The Rotunda is ideal for large weddings and will certainly make your special day one to remember. It’s your special day, and there is no better place to celebrate you than the stunning Sandy B. 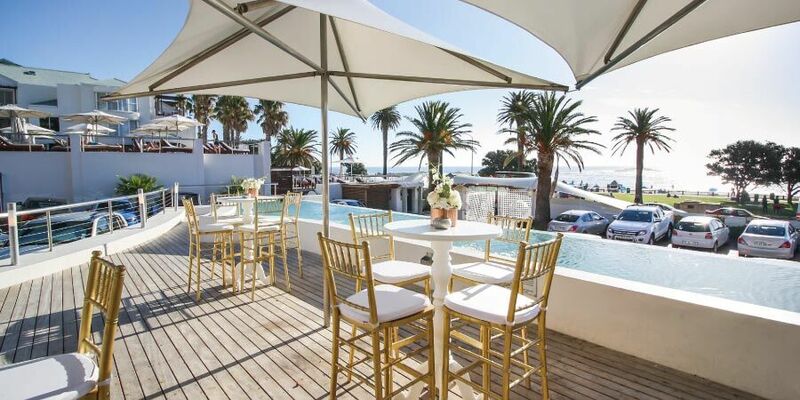 With views of the gorgeous Camps Bay beachfront and an exclusive, sophisticated feel, Sandy B is an alluring and stunning venue, ideal for an exclusive and special celebration, pre or post-ceremony. With views of the Atlantic Ocean, The Celebration Deck at Tides offers a more exclusive atmosphere, ideal for pre-wedding family celebrations, a smaller wedding reception or a special newlywed breakfast. Spoil yourself and your significant other with gorgeous views and delicious culinary delights. The secluded yet airy feel of The Celebration Deck makes it the perfect place to celebrate special moments, come rain or shine.